A Full Line of Irrigation Products Working for You. 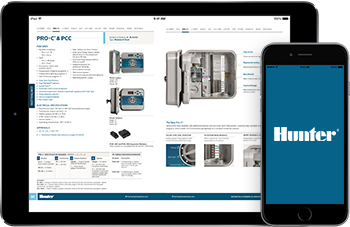 Hunter Replacement Parts Pricelist gives you a breakdown of each product replacement catalog number with an easy to identify product illustration. The new Hunter Industries Resources App for iOS and Android allows you to download the catalog directly to your smartphone or tablet for future access without an internet connection, so you can access the Hunter catalog anytime, anywhere. Click the links below to download now.